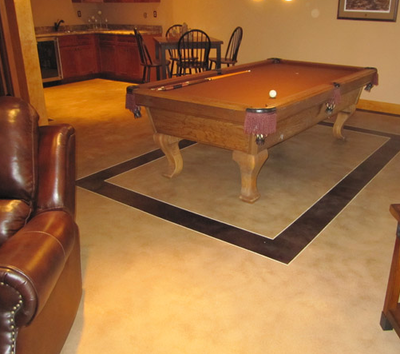 ​When you begin shopping around for flooring options, such as carpeting or tile, this can become overwhelming. You may have trouble finding something that suits your taste. Perhaps you can’t find the pattern that you want or they don’t have the shade of tile that you are looking for. Perhaps you have find exactly what you are looking for but when you ask for it, they inform you that they don’t have enough in stock and that they have to backorder it for you. 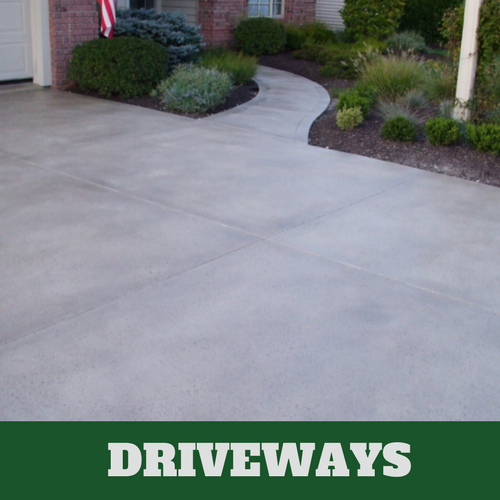 Instead of continuing to go through this frustration, consider decorative concrete. 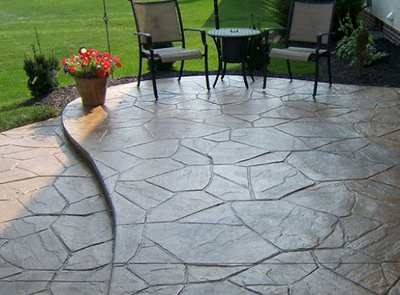 Now-a-days, stamped concrete is one of the more popular options for both homeowners and designers. 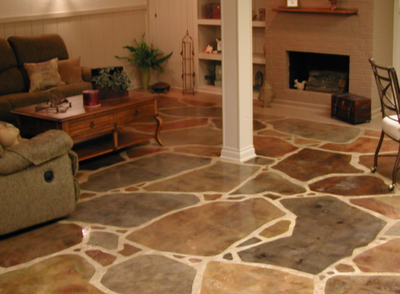 A decorative concrete floor can mimic marble, stone, brick, or granite, without the cost. They can also be cut to provide you with different patterns in your flooring. 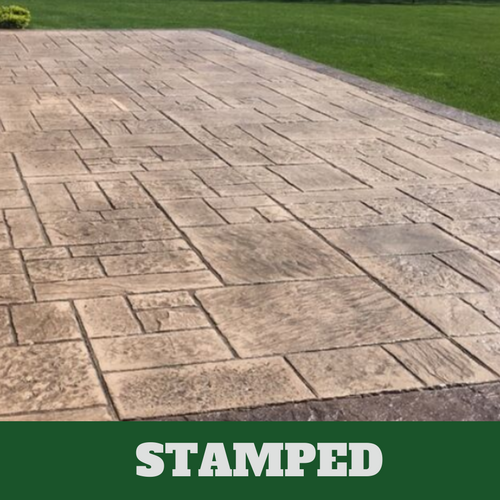 Since you can mix stains, it is possible for us to achieve the look that you re most interested in at Stamford Stamped Concrete. 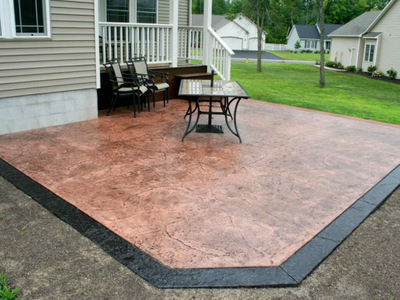 ​The stain is integrated into the concrete and therefore the color last for a lot longer. 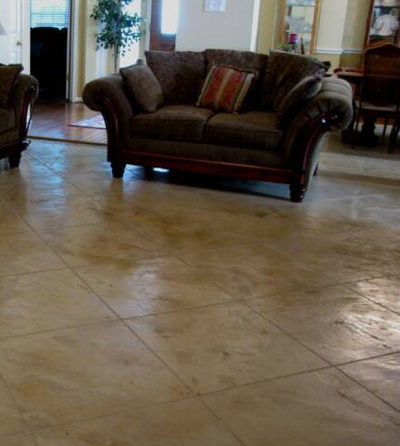 Our concrete contractors can apply a decorative stain to any type of concrete floors. This might be a new floor from a new construction to an existing floor. If we apply it to an existing floor, it will bring out the natural finish of your floors. 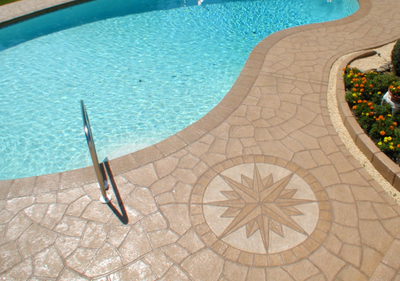 Different colors can also be applied to a stamped concrete floor, adding just the perfect touch. Stains are often mixed and various shades are achieved. There is no limit to the design options that can be achieved when you have decorative concrete stains applied to your floors. Don’t settle for anything less than what you want. 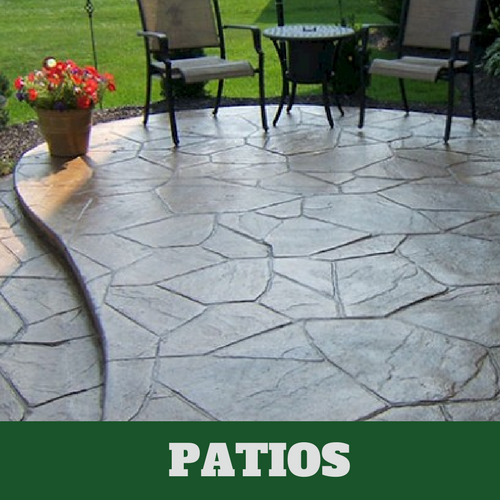 Instead, contact Stamford Stamped Concrete, where we can provide you with exactly what you are looking for. 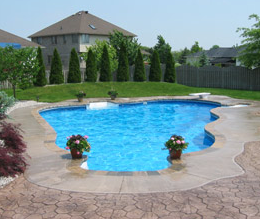 ​The advantages of a decorative concrete stain are numerous. It is a stain and not paint, which means that the stain is absorbed into the concrete, which means it won’t chip or peel. The vibrant colors remain vibrant year after year. 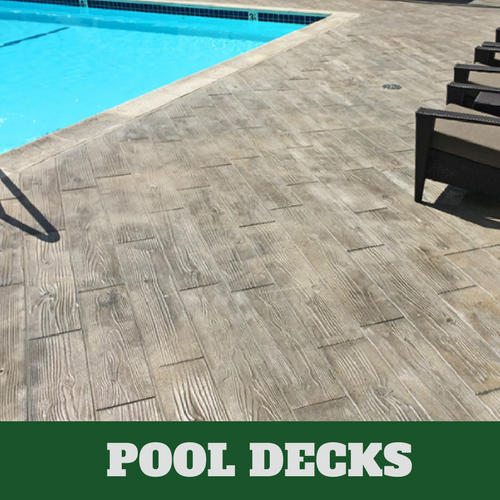 They are also very durable, slip resistant, and easy to maintain. 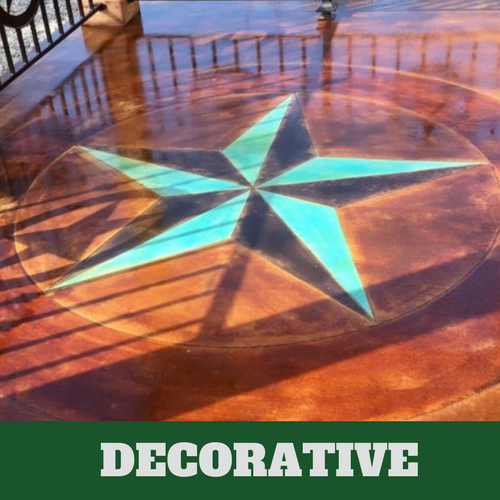 If these features are appealing to you, why not give us a call at Stamford Stamped Concrete today and allow us to discuss our process for applying decorative concrete. 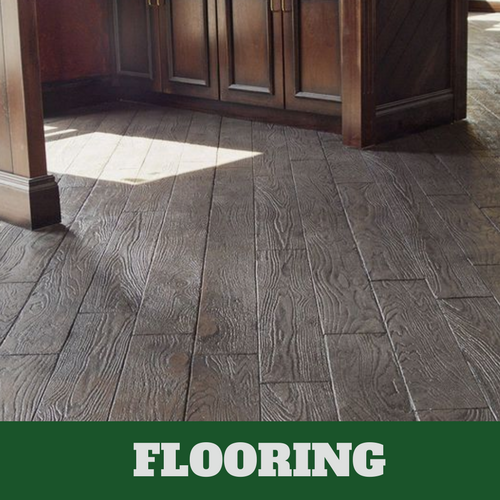 You’ll receive one of the most versatile flooring options available today. 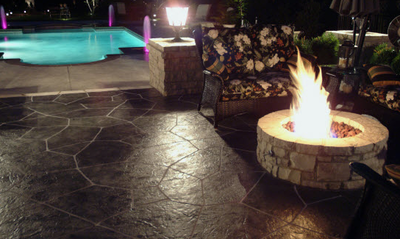 ​We have a team of the best and most qualified flooring professionals in Stamford, CT. You are able to get what you pay for and more with the services of Stamford Stamped Concrete. It doesn’t matter how big or small the space might be, we assure you that we will be able to handle the job for you. You are offered a complimentary, no-obligation consultation to discuss your many options. 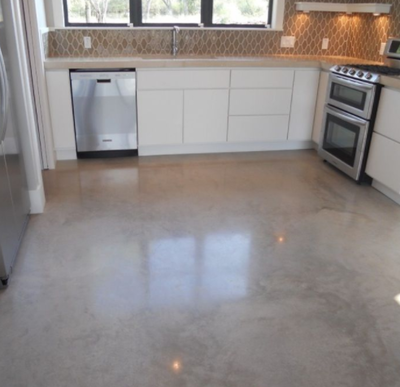 We’ll make sure that this type of flooring suits you and your budget before we begin the process of applying your decorative concrete floors. We offer guaranteed satisfaction.